Do more with your Sundays. 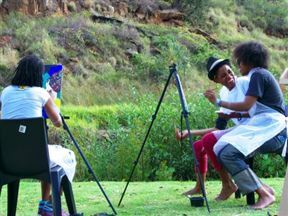 Everyone is welcome to come along every Sunday and paint at the Klipriviersberg Nature Reserve. Bring your friends and family, unwind, have a picnic and paint your masterpiece. No previous art experience is needed. A professional art instructor will be there to guide painters through the creative process, ensuring everyone leaves with a work of art. Cost is R100 per person. 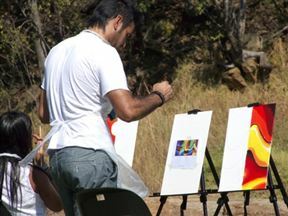 Paint in The Park is 2.1km from the centre of Kibler Park , the nearest airport 30km (Johannesburg International Airport).